A study guide is included for individual reflection and small group discussion. 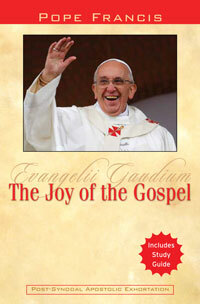 Everyone who cares about the future of the Church needs to read Pope Francis’ new letter! 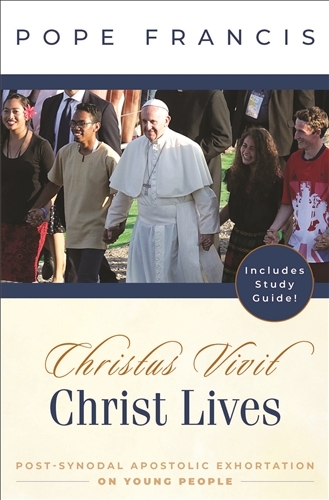 A response to the Synod on Young People, Christ Lives is a passionate call for every Christian to embrace their role in the Church, to bring the gospel everywhere, and to meet young people where they are. From a Scriptural overview of how God views youth to inspiration from the saints to practical advice, Christ Lives is a timely commentary that will help you look back on your own experience of being young, enable you to assess your understanding of today’s youth, and equip you with tools to help the Church become a welcoming place for young people and a beacon of hope to the world. 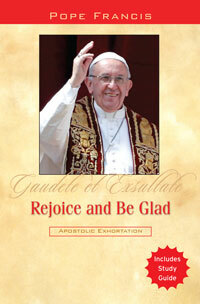 In this collection of short excerpts of his talks from around the world, Pope Francis speaks to the best instincts of young people, inviting them to do their part to build a better, more just world. Popular youth speaker Fr. 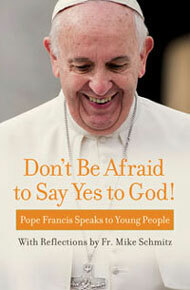 Mike Schmitz provides follow-up reflections and questions after each selection that are designed to help young people draw closer to God in prayer, giving them the courage to rise up and embrace the pope's words. Only $7.96. Find Out More.